Letter from LP to Stanley Schaefer, W.H. Freeman and Company, RE: Writes to confirm that he will be at The Players restaurant in New York on April 2, 1953 at 11:30 AM. Also mentions trying to see McClintock on that day. [Filed under LP Books: Box 1953b, Folder 1953b.1]. Letter from Theodore McClintock, W.H. 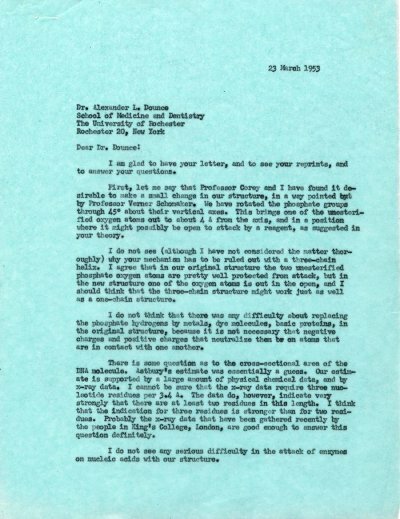 Freeman and Company, to LP RE: Will have all editing material for the second edition of General Chemistry prepared so they can quickly review it on April 2, 1953. [Filed under LP Books: Box 1953b, Folder 1953b.1].